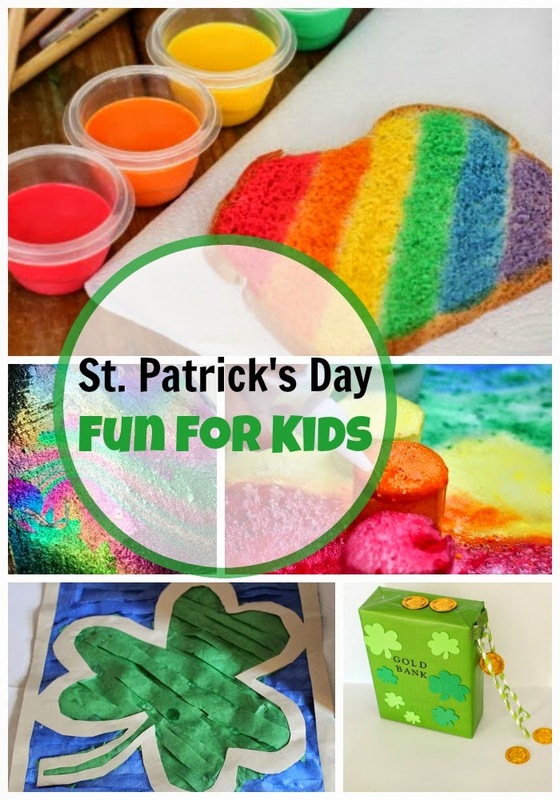 St Patrick’s Day is almost upon us, and I want to share our own ideas for this holiday and highlight fun and easy St Patrick’s Day activities for kids linked last week to After School Link Up. Over years, we did a few things to celebrate St. Patrick’s Day – we went looking for rainbow in nature, had a rainbow theme day, and discovered Ireland. However, my favorite St. Patrick’s Day project was certainly this leprechaun trap from Smarty’s kindergarten days! Many terrific activities were linked up last week! More St Patrick’s Day Fun For Kids? Follow Natalie Planet Smarty Pants's board St Patrick's Day on Pinterest. Do you celebrate St. Patrick’s Day at home? We do celebrate St. Patrick's Day. Thanks for sharing so many awesome activities. We celebrate by having the leprachaun leaving a rainbow of fruit and green milk. He might also leave some gold coins and a green shirt. I love all of the great St. Patrick's Day ideas. I am off to pin this! For whatever reason Saint Patrick's Day hasn't caught on here like some other holidays have.